Rights Respecting Schools Award Level 1 award! Well done to our children and staff for achieving Level 1 of Unicef’s Rights Respecting Schools Award. This award promotes and celebrates children’s rights as set out in the Convention on the Rights of the Child. The children have been learning that these rights apply to all children everywhere and are unconditional. 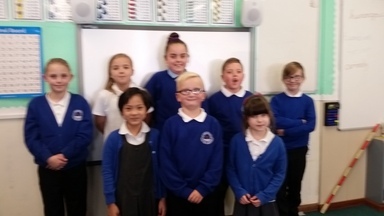 Our Rights Respecting Steering Group are now working towards to achieving Level 2 of the award.